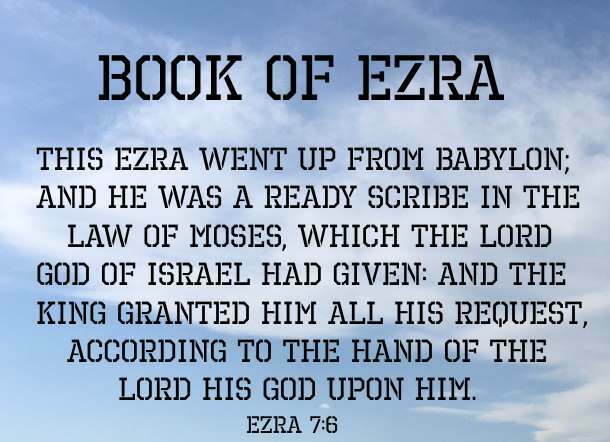 This description of the Book of Ezra is from Easton's Bible Study. The history of the first return of exiles, in the first year of Cyrus (B.C. 536), till the completion and dedication of the new temple, in the sixth year of Darius Hystapes (B.C. 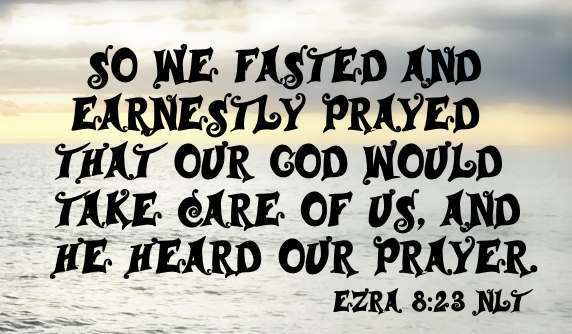 515), (Ezra 1:1 - 6:22). From the close of the sixth to the opening of the seventh chapter there is a blank in the history of about sixty years. The history of the second return under Ezra, in the seventh year of Artaxerxes Longimanus, and of the events that took place at Jerusalem after Ezra's arrival there (Ezra 7:1 - 10:44). There is no quotation from the Book of Ezra in the New Testament, but there never has been any doubt about its being canonical. Ezra was probably the author of this book, at least of the greater part of it (comp. Ezra 7:27,28,8:1), as he was also of the Books of Chronicles, the close of which forms the opening passage of Ezra." This description of the priest and scribe Ezra is from Easton's Bible Study. A priest among those that returned to Jerusalem under Zerubabel (Nehemiah 12:1). The "scribe" who led the second body of exiles that returned from Babylon to Jerusalem B.C. 459, and author of the book of Scripture which bears his name. He was the son, or perhaps grandson, of Seraiah (2 Kings 25:18-21), and a lineal descendant of Phinehas, the son of Aaron (Ezra 7:1-5). All we know of his personal history is contained in the last four chapters of his book, and in Nehemiah 8:1 and Nehemiah 12:26. In the seventh year of the reign of Artaxerxes Longimanus, he obtained leave to go up to Jerusalem and to take with him a company of Israelites (Ezra 8:1-36). Artaxerxes manifested great interest in Ezra's undertaking, granting him "all his request," and loading him with gifts for the house of God. Ezra assembled the band of exiles, probably about 5,000 in all, who were prepared to go up with him to Jerusalem, on the banks of the Ahava, where they rested for three days, and were put into order for their march across the desert, which was completed in four months. His proceedings at Jerusalem on his arrival there are recorded in his book. He was "a ready scribe in the law of Moses," who "had prepared his heart to seek the law of the Lord and to do it, and to teach in Israel statutes and judgments." "He is," says Professor Binnie, "the first well-defined example of an order of men who have never since ceased in the church; men of sacred erudition, who devote their lives to the study of the Holy Scriptures, in order that they may be in a condition to interpret them for the instruction and edification of the church. It is significant that the earliest mention of the pulpit occurs in the history of Ezra's ministry (Nehemiah 8:4). He was much more of a teacher than a priest. We learn from the account of his labours in the book of Nehemiah that he was careful to have the whole people instructed in the law of Moses; and there is no reason to reject the constant tradition of the Jews which connects his name with the collecting and editing of the Old Testament canon. The final completion of the canon may have been, and probably was, the work of a later generation; but Ezra seems to have put it much into the shape in which it is still found in the Hebrew Bible. When it is added that the complete organization of the synagogue dates from this period, it will be seen that the age was emphatically one of Biblical study" (The Psalms: their History, etc.). For about fourteen years, i.e., till B.C. 445, we have no record of what went on in Jerusalem after Ezra had set in order the ecclesiastical and civil affairs of the nation. In that year another distinguished personage, Nehemiah, appears on the scene. After the ruined wall of the city had been built by Nehemiah, there was a great gathering of the people at Jerusalem preparatory to the dedication of the wall. On the appointed day the whole population assembled, and the law was read aloud to them by Ezra and his assistants (Nehemiah 8:3). The remarkable scene is described in detail. There was a great religious awakening. For successive days they held solemn assemblies, confessing their sins and offering up solemn sacrifices. They kept also the feast of Tabernacles with great solemnity and joyous enthusiasm, and then renewed their national covenant to be the Lord's. Abuses were rectified, and arrangements for the temple service completed, and now nothing remained but the dedication of the walls of the city (Nehemiah 12:1-47).